I remember back when I dreaded Mondays. There was so much negative energy around it, and I bought into the whole belief that Monday’s were evil. Of course, if I was starting the day with a negative attitude, you know exactly how the day would go! Now, I look at Monday as a clean slate, a fresh start to the week! Are you feeling overwhelmed with your never-ending To Do list? Do you not know where to begin? On Monday, does everyone else’s problems suddenly become your own? 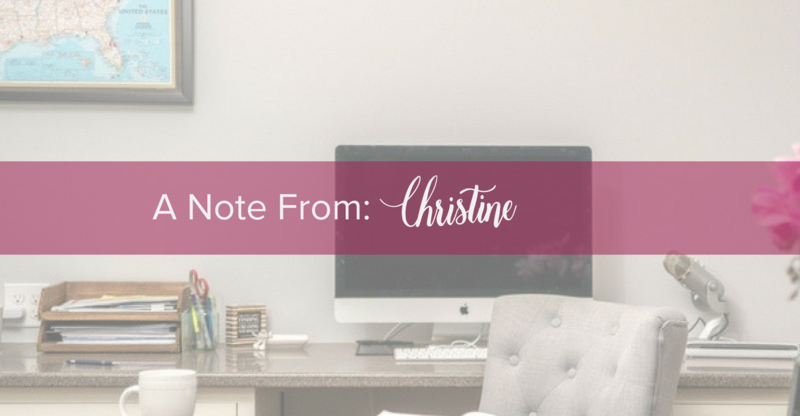 ← That one was a biggie for me when I had my VA Business! All those feelings about Monday will change when you shift your thinking and have the focus and support to address the source of your overwhelm. I want today to be the day you start something new. As they say, you can’t do what you have always done and expect different results. So, let’s start something new today! My something new today is that I am starting my 12-Week Success Sprint, and to be honest, it’s not perfect. My week was already pretty booked, but I am working in some time blocks where I can and have shifted the way I think about my priorities and focus. If you need extra support, you can mastermind with us as soon as tomorrow! The Academy Mastermind is now open and the bonus offer that I told you about last week expires tonight! If you join today, you can join our next live call happening Tomorrow (and every Tuesday). You’ll also get a 1-hour strategy session and my Office Organization online Course, to organize your office for maximum productivity! Whatever you decide, don’t let Monday get you down. Hit reply and let me know what your something new will be this week! PS: The Academy Mastermind is Open For A Limited Time – Visit FabulouslyBalancedLife.com/Academy for more information.